The hotel located in the heart of the downtown just 50 metres from the famous Váci Street, with its most exclusive shops and restaurants. The monument building hotel has 85 modern rooms, some of wich have a fascinating panoramic Danube and Buda Castle view, guaranteeing an unforgettable stay in Budapest. 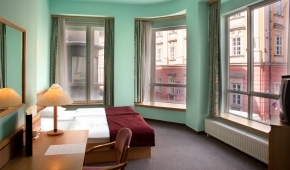 The Hotel Pilvax is an elegant and yet homely hotel situated in the very heart of the City Center. 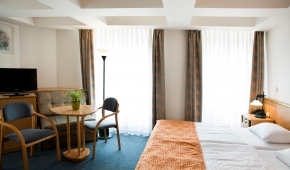 The hotel is located on a quiet side street just a few minutes walk from bustling pedestrian shopping street Váci utca. The Hotel Ring is located on Szent István körút, part of the Budapest ring road, which provides easy access to much of Buda and Pest. This puts the guest within easy walking distance of Budapest’s downtown business district, the peaceful parks of Margaret Island, the Western railway station and all the city’s major attractions. All of our hotels are perfectly located in the heart of the downtown of Budapest. Check our Facebook page and Like! Book your Room in advance with 15% DISCOUNT!